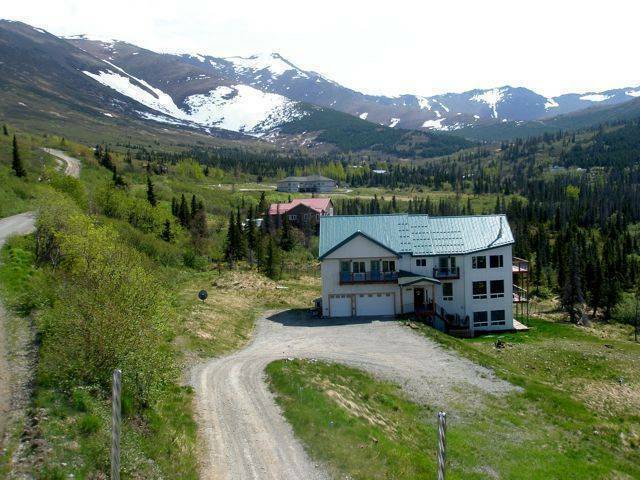 Unique Custom B&B Amidst 14 Acre Nature Reserve at 1400 Elevation; Sweeping Panoramic Mountain view & Sunset over Cook Inlet. Spacious Suites: comfy king / twin beds, Custom marble mosaics bathroom, private decks Refrigerator. Continental + stocked, Self serve 24hr. access. Competitive Prices + Daily consecutive stay discounts! Only 20 EZ minutes from Airport or Downtown! Vortex Lounge : Continental + stocked, Self serve kitchen 24hr. access. Abundant Original Art & Atmosphere Enhancing Colors. Enjoy Big views while luxuriating in large Homey environment in perfect temperatures on artistically painted radiant heated floors whether frosty & snowing or midnight summer sunning. Cancellation Policy Room Guarantee Advance Security of valid form of payment is required at time of booking in order to secure a Confirmed Reservation. 50% deposit is required on group reservations. A NON- REFUNDABLE deposit of 1 Nights Room Charge is charged within 24 hours after booking. Cancellation will result in charge of 1st Nights Room Charge.